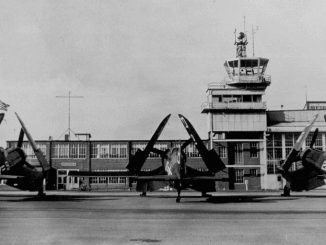 The main entrance of the Arizona Airbase in Mesa,AZ. 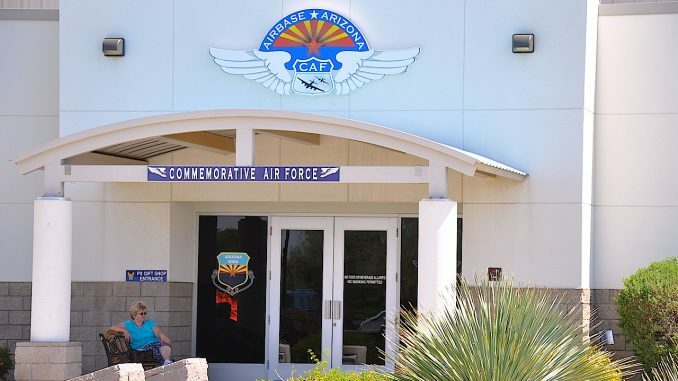 PRESS RELEASE – The Commemorative Air Force’s Airbase Arizona Aviation Museum (formerly known as the CAF Arizona Wing), located at Falcon Field in Mesa, Arizona, announced today that it is teaming with the Veteran’s Pride Battalion of the U.S. Naval Sea Cadet Corps, the Frank Luke Chapter of the Air Force Association and the Arizona Capitol Museum Guild to raise public awareness about the Arizona Capitol Museum (the “Museum”) through a fundraising raffle for the Museum’s exclusive benefit. The four non-profits have come together under the auspices of the Pearl Harbor Day Observance Committee of the Unified Arizona Veterans (www.azuav.org ) in connection with its presentation of the 2014 Pearl Harbor Day Remembrance Ceremony on December 7, 2014. The State Capitol Museum, located in the State Capitol Building at 1700 West Washington Street in Phoenix, Arizona, uses a balance of technology, hands-on activities, historical artifacts, and public programs to help visitors learn about and interact with the government of the 48th State. Visitors to the Arizona Capitol Museum can trace Arizona government from territorial times to statehood, and on to present day. They can learn how the Arizona Constitution continues to drive Arizona’s state government and explore the Capitol and Wesley Bolin Plaza monuments. Exhibits display a broad array of topics spanning Arizona’s proud history, and include such topics as the 150 year history of the Arizona State Library; an Election Center featuring the latest information about Arizona politics; a historic reconstruction of Arizona’s first Governor’s Office; the original Senate and House Chambers; a display of Arizona’s state symbols; the Merci Train, containing gifts given to the State by the People of France, in gratitude for America’s generosity after World War II; the U.S.S. Arizona, flagship of the fleet, sunk at Pearl Harbor on December 7, 1941; Arizona’s role in World War II and its development thereafter; and many other unique presentations abut Arizona and its history. The Museum is a unit of the Arizona State Library, which, in turn, is a division of the Secretary of State. 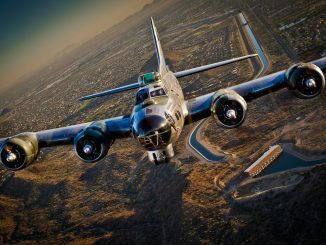 This fundraiser is the second of its type to benefit the Museum, the first being presented in 2013 in connection with the dedication of Arizona’s new World War II Memorial in Wesley Bolin Memorial Plaza on December 7, 2013, as a part of the 2013 Pearl Harbor Day Observance in Phoenix. 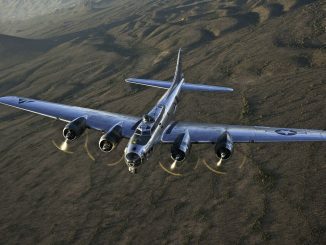 The 2014 raffle features a variety of gifts donated by Valley businesses to help achieve the success of this effort, and a grand prize of a living history flight experience aboard the fully-restored Boeing B-17 Flying Fortress, named Sentimental Journey, owned and operated by CAF Airbase Arizona at Falcon Field in Mesa. 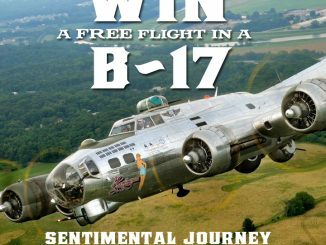 Sentimental Journey is world-renowned and is one of only a handful of the nearly-13,000 aircraft of its type flown in combat in World War II that still exists today in pristine flying condition. Contributors who donate $5.00 (or six chances for $20.00) by November 19, 2014 will be eligible to participate. Winners will be drawn and announced during the Annual Pearl Harbor Remembrance Ceremony at Wesley Bolin Memorial Plaza on Sunday, December 7, 2014. 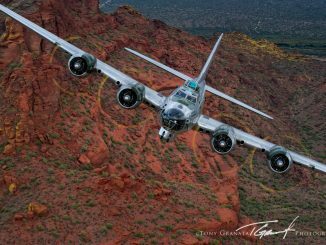 Raffle tickets can be purchased at the CAF Airbase Arizona Museum Gift Shop (2017 N. Greenfield Road in Mesa) or at Arrowhead Ace Hardware (20165 N. 67th Ave. in Glendale), or by emailing publicrelations@veteranspride.us. Veteran’s Pride Battalion of the U.S. Naval Sea Cadet Corps (www.veteranspride.us), is a federally chartered but not federally funded, U.S. Navy-based organization that serves to teach boys and girls 11 to 17 years old about the sea-going military services, U.S. Naval operations and training, community service, citizenship, and an understanding of discipline and teamwork. The mission directive of Veteran’s Pride Battalion strives to provide an opportunity to learn responsibility, accountability and respect, giving them an edge on their peers when applying for college or universities, or employment. Cadets are taught about military procedures and lifestyles as they relate to all branches of the services- including the Navy, Coast Guard, Marines, Air Force, Army and National Guard. Cadet members are not required to join the military. Cadets are encouraged to find their path to their career choice and are supported fully along the way. The Naval Sea Cadets Corp, of which the battalion is a part, was founded in 1958 by the Navy League of the United States at the request of the Department of the Navy. In 1962, the Corps was chartered under Title 36 of the United States Code as a non-profit youth organization with an emphasis towards the sea-going services of the United States. 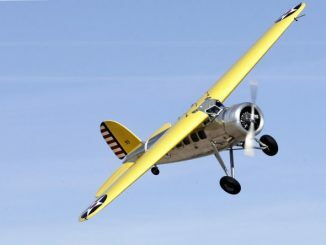 The Frank Luke Chapter of the Air Force Association (the “AFA”) (www.afaluke.org) has been a member of the AFA for more than 30 years. More than 150,000 people worldwide on active duty, retirees and civilians belong to the AFA, a national non-profit professional military organization with the mission to: educate the public about the critical role of aerospace power in defense of our nation; advocate for aerospace power and a strong national defense; and support the U.S. Air Force and the Air Force family. As a member of the AFA, the Frank Luke Chapter supports Air Force needs and Air Force people through a wide variety of programs, that include: financial support for and sponsorship of the annual Luke AFB Awards Banquet, quarterly base award ceremonies, Education Center graduation ceremonies and other military events; participation by area high-school students in annual CyberPatriot competitions, AFA’s premiere cyber defense effort designed to inspire middle school and high-school students toward careers in cyber security or other science, technology, engineering, and mathematics (STEM) disciplines critical to the nation’s future; support for people programs such as dinners for families of deployed service members; sponsorship of the USA Today newspaper’s “Visions of Exploration” aerospace education program for 4th-12th grade classrooms to help students explore careers in STEM disciplines as they learn about the Air Force; support for Air Force Junior ROTC units in 18 area high schools and AFROTC students at Arizona State University; and support for other military units in the area, including the Air National Guard in Phoenix and Sky Harbor Airport. The Arizona Capitol Museum Guild (www.azlibrary.gov/azcm/support-azcm), a 501(c)(3) nonprofit, supports the Arizona Capitol Museum and affiliated activities. It does this through volunteerism, financial assistance, staff support, and community involvement. The Guild sponsors several museum activities, including, receptions, special events, volunteer activities, artifact conservation, education and exhibit programs. The Guild assists the Arizona Capitol Museum in achieving its goals and objectives by creating and implementing strategies which focus on recruitment and membership retention; participation in fundraising as well as the development process for museum exhibits; and building and developing a stronger community outreach program for sustainable support. 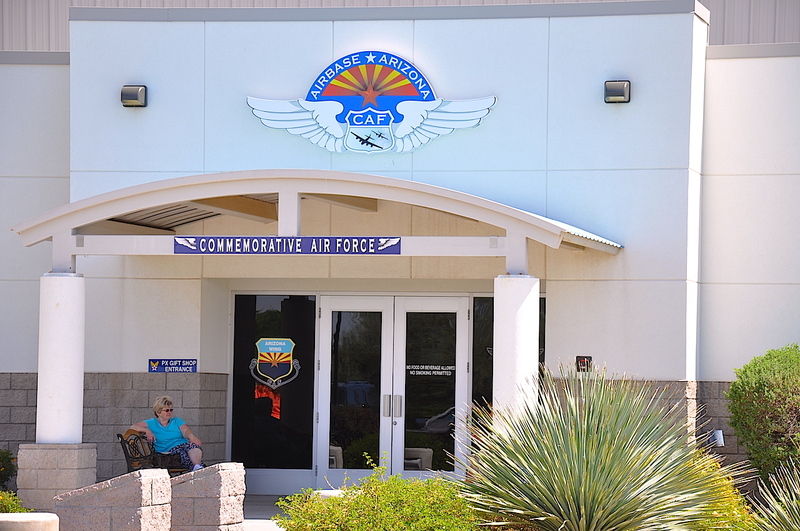 CAF Airbase Arizona (www.azcaf.org), now in its 36th year of operation as the premiere aviation attraction in the Phoenix Metropolitan Area, operates its Aviation Museum at Falcon Field in Mesa, Arizona. 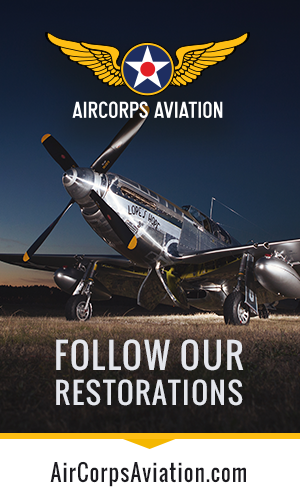 Organized in 1978 as the local Arizona chapter of the Commemorative Air Force, the mission of Airbase Arizona is to restore and preserve historically important aircraft and related memorabilia in order to educate the public about the significant contributions made by men and women in the defense of the Nation. Airbase Arizona houses a unique collection of over twenty historic warbirds, including the famed, fully restored “Sentimental Journey”, one of the few remaining World War II-era B-17 Flying Fortress bombers still flying today, and “Maid in the Shade”, a veteran B-25 Mitchell bomber that saw action in the Mediterranean Theater of Operations in World War II.